Tomorrow night, September 16, you can attend HEB Movie Night at Discovery Green. 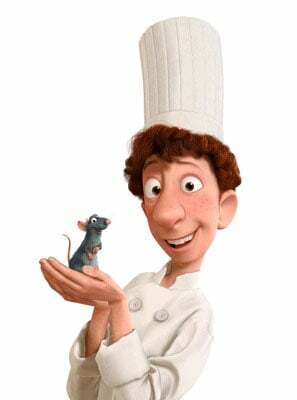 This week the show is Ratatouille. Anyone Can Cook! An unlikely pair of friends take over a 5-star Parisian restaurant. It’s the race of any rat’s dreams! Cheese stacking! Using H-E-B cheese cubes, participants will race to stack the most cheese cubes in 1 minute. Whoever can stack the most cubes in a single-file vertical format wins a H-E-B gift card! One winner in each age group: 4-7, 8-12, 13-18. Bring canned food for the Houston Food Bank during Hunger Action Month. Learn which artist was chosen to create H-E-B’s Celebration Station at Discovery Green. Blankets, lawn chairs and picnics are welcome; food, beer and wine are available at the Lake House. No glass containers or outside alcoholic beverages, please.